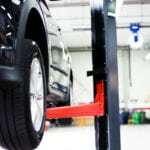 At Forsyth Auto Care, we really are a full-service auto shop. Our car care services include regular maintenance, transmission work, and tires, and we also have a full-time detail shop on site. Our special promotions are a great way to take advantage of all that we have to offer!